Two women, two books, one place. 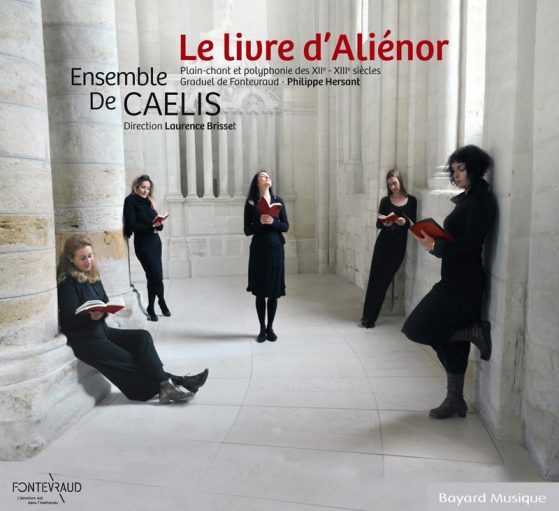 We have chosen to link two Eleanors, two books and one place: Fontevraud. A double abbey run by women and founded in 1101 on the edge of the provinces of Poitou, Anjou and Touraine, Fontevraud owed its power to the Plantagenets and to its close links with Eleanor of Aquitaine. Eleanor of Aquitaine’s recumbent statue in the abbey church shows her holding a stone book, one of the first representations of a woman reading. The second Eleanor is Eleanor of Brittany, Fontevraud’s sixteenth abbess, associated with a Gradual, a book containing chants for use in the Mass. and chants into the cloisters of the monastery with them. Less than a century separates the death of the first Eleanor and the birth of the second. We have chosen to proceed via concentric movements whose epicentre is located in 12th century Aquitaine. Like a pebble cast into the water, the waves have rippled outwards to reach us in the shape of a work by Philippe Hersant, a setting of a poem by William IX: the Song of William of Aquitaine.